Darth Side of the Moon T-Shirt - the best t-shirt you have ever seen? Darth Vader + Pink Floyd + Dark Side of the Moon + cough ..umm..let?s say..?chilling? 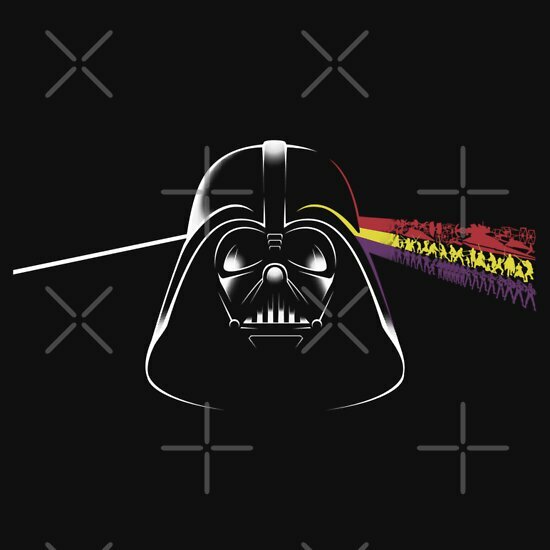 in my backyard looking at the clouds while it rains = ?Darth Side of the Moon?, part two of my Vader Trilogy. I simplified the rainbow down to 3 colours for printing, but I added various ships/fighters in the red band, a whole bunch of Jedi/Sith fighting in the yellow band and a whole heap of storm and clone troopers in the violet band.